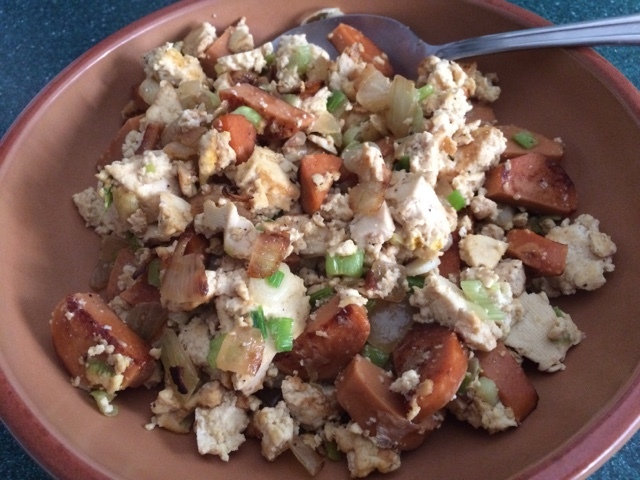 The Vegan Mouse: Tofu and hot dog scramble. Sounds weird huh? 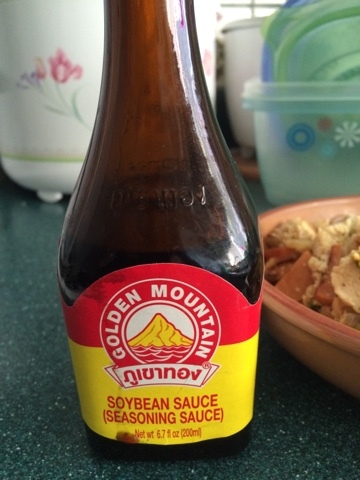 When I was young my mom used to make us Thai egg omelet to eat with rice. Sometimes we'd have fried sausage or kielbasa too. I was craving that today so I made this. 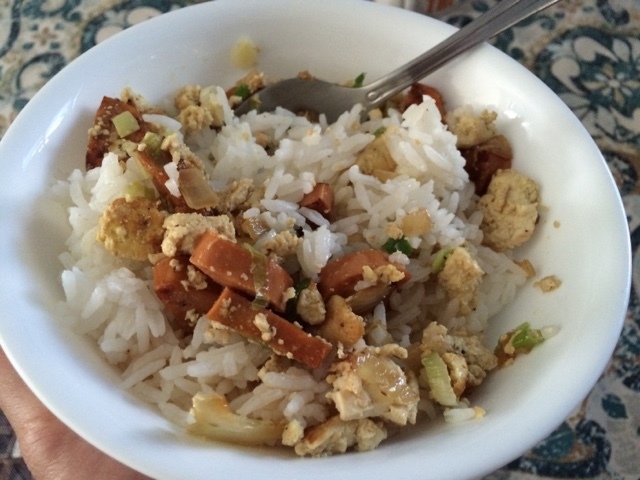 It is basically scrambled tofu with veggie dogs. But it's the way I seasoned it that made it really good. In a pan, sauté onion in olive oil over medium high heat until tender. Add chopped hot dogs, a few drops of soysauce for flavor and a few pinches of garlic powder and black pepper. Sauté until fairly browned. Drain tofu and add to pan by breaking it up with fingers. 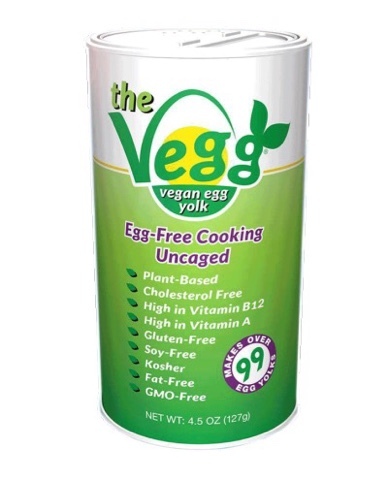 Add a few pinches of turmeric, black salt or Vegg powder and a few more drops of soy sauce. Keep stir frying until tofu is nice and browned. Add scallions and cook for another minute or so. Serve with rice and soy sauce on the side.